Burnt Taste When Vaping? Here’s How to Get Rid of It. 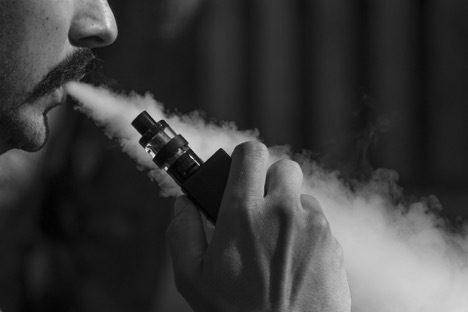 Any seasoned vaper will have no doubt experienced the dreaded burning taste when vaping, more commonly known as a ‘dry hit or ‘dry burning’. This happens when your coil has burnt out, and to prevent this from happening you need to understand the scenarios that can lead to a coil burning out quickly. Every time you press the fire button on your device, this sends a current to the coil to heat it up, the coil which is directly attached to the wick then allows the juice to react to the heat and turn it into the vapour which you’re used to. A burnt wick is typically caused by the wick not having enough e-liquid soaked into it when the coil heats it up, and that horrible burnt taste is the cotton burning. It’s easy to sit and vape continuously but did you know that doing this can severely impact the life of your coils? Every time you vape, the heat from the coil is transferring into the e-liquid soaked onto the wick and turning it into vapour. The longer you chain vape, the less time the e-liquid in your tank has to soak into the wick again. Over a short period of time, your wick could become dry and it will result in a dry hit, and the need to replace the coil. Prior to burning out, you could also find that it impacts the quality of the vapour production you’re getting. You can comfortably vape for a few minutes and shouldn’t suffer a dry hit, but once you’re done leave your device for a short while and give your wick time to re-soak. Another common error when replacing a coil is not priming it with juice prior to hitting that fire button. When replacing your coil, add a couple of drops of e-liquid directly onto the cotton before filling your tank and putting your device back to together. This will give your wick a head start in soaking up some juice so you can use the device more quickly after replacing the coil. Even after priming though, and then filling the tank, it’s always a good idea to leave your device for a good 5-10 minutes before using it. This will ensure that your wick is completely saturated with e-liquid, and therefore eliminating the risk of a burnt coil on your very first hit. What Else Could Be Causing A Coil to Burn? Although less common, we’ve noted some other reasons below why you may be getting a burnt taste when vaping. ● Overpowering your device - every coil is designed to be used within a certain wattage and temperature range. This ensures that you get the best vaping experience. If you power your device higher than your coil allows, and the device doesn’t prevent it from being used in this way, you’ll be vaping more juice than the wick can soak up. This will result in your coil burning out much quicker than it should. ● Letting your juice run too low - If you’re not keeping your tank topped up, the wick may not be able to draw enough juice from it to soak. ● Mouth to Lung devices - typically OHM tanks and more powerful devices are designed for a mouth to lung operation. With this naturally comes longer draws and the potential of your coil getting overheated and burning the wick. Just be mindful of how long you're firing your device. ● Temperature Control - In a similar scenario to overpowering the device, having your device firing at a higher temperature than the coil supports could result in burn out very quickly. The difference here is that any device that allows temp control can also prevent a coil head from burning out as you can directly control the temperature at which the device is firing. Just turning the temperature down slightly could have a huge impact whilst the difference in vapour production would be minimal. What Should You Look at First? Ultimately it depends on your device and capabilities that it has. The chain vaping and coil priming are the biggest causes of getting that dreaded burnt taste and making sure you’re taking the steps noted to prevent it, you’ll probably find the problem is solved. If not, you can try fixing the less common problems.